There is secret menu at Chipotle. I mean, we all know about the secret menu at In N Out (animal style FTW), but this takes things to another level. If you were already aware of this amazing fact, then I apologize for the letdown. If you were in the dark, as I was... well, then you're welcome. Especially because one of the things on this secret menu is something called a "quesarito." A burrito. Wrapped in a quesadilla. Now I realize for blog purposes, that is not much of a recipe, (more of a genius suggestion... sort of like my suggestion to also use quesadillas for taco shells), so I decided to also try my hand at recreating the cilantro lime rice and the grilled steak/chicken that I often get inside my chipotle burritos (or more often these days... burrito bowls). 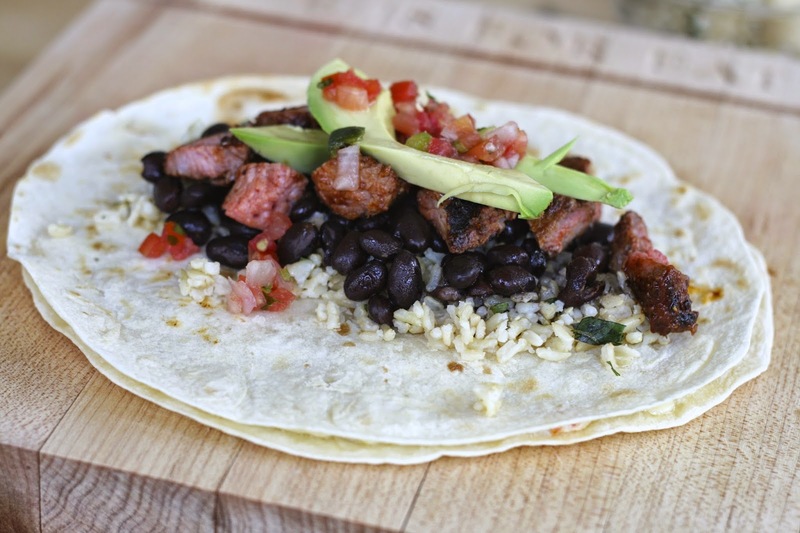 I devised this recipe from ones I found online combined with the actual ingredient list that is now posted on Chipotle's website. Since the chicken and steak have the same ingredients listed, I think this would work for both. Start with about an ounce of dried chipotle or ancho chiles, whichever you can find (I had ancho, but Chipotle uses... you guessed it, chipotle chiles). Soak them in boiling water for about 15-20 minutes. Remove stems and seeds and then toss into a food processor. (Note: it might actually be easier to remove the stems/seeds when the peppers are still dry, but I totally forgot). 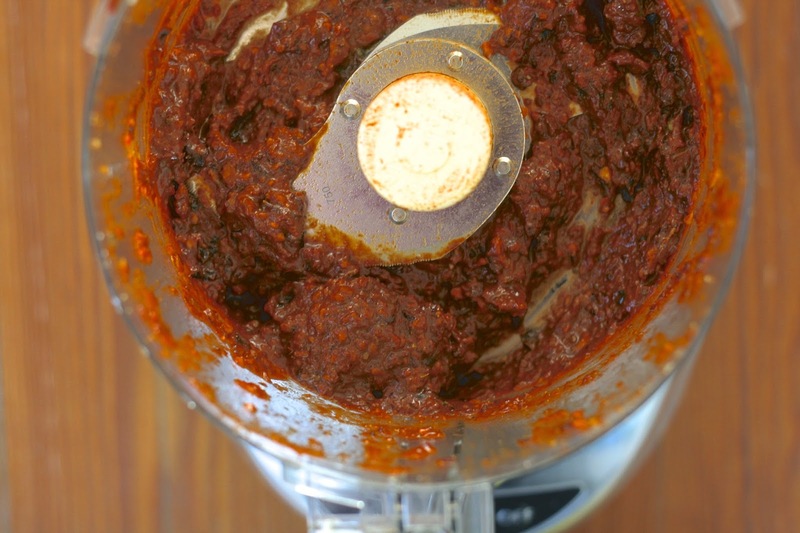 Combine the chiles, garlic, cumin, Mexican oregano, salt, black pepper, honey, and Safflower oil into a food processor and puree, adding a little water as needed until a thick sauce forms. (Note: Chipotle actually lists rice bran oil in the ingredient list, but I had Safflower, so I used that). Cover the steak pieces in the sauce and refrigerate in the marinade for at least an hour, or preferably overnight. The rice couldn't be easier. Start with a cup of either brown or white basmati rice, adding a little oil or butter and a bay leaf while it's cooking. I prefer to use my rice maker for this because it's super easy and as an added bonus, it plays "twinkle, twinkle little star" every time I turn it on. (It's the little things that bring me joy). 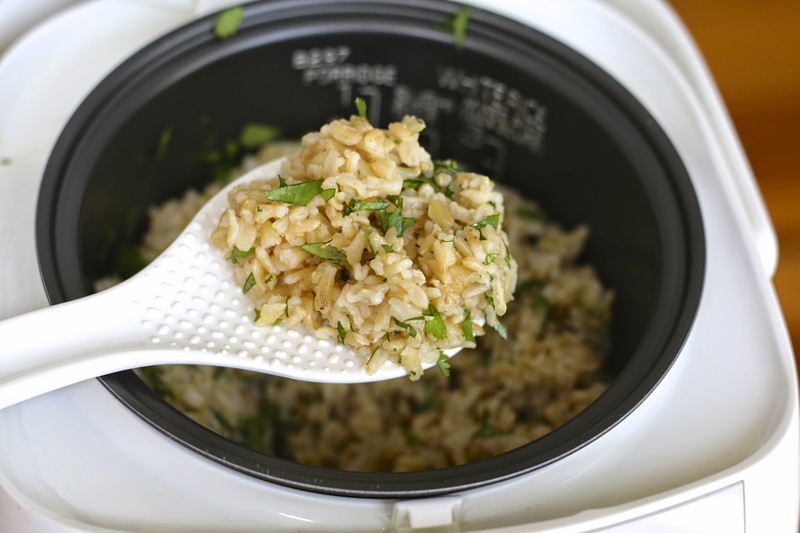 Once rice has finished cooking, remove bay leaf and squeeze in the juice from one lime and about 1/3 cup of chopped cilantro. AWWWWW YEAHHHHH. Now for the quesarito. 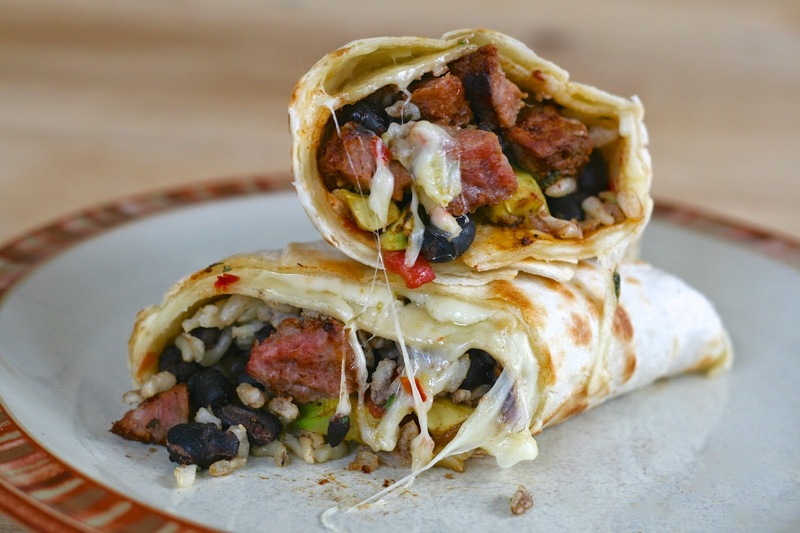 First, make a quesadilla using two large tortillas and about a cup of jack cheese. (Pepper jack, if you're like me and want even extra heat). Try not to let it get too crispy or it will be hard to roll. Just cook long enough to melt the cheese. Then, grab your fillings. Cilantro rice, black beans, pico de gallo, steak, and avocado or guacamole (yes, I know it's extra). Just resist the urge to fill it too full... especially if your tortillas aren't the gigantic Chipotle restaurant variety. Then... fold, roll and enjoy!! And get ready to have your mind blown! 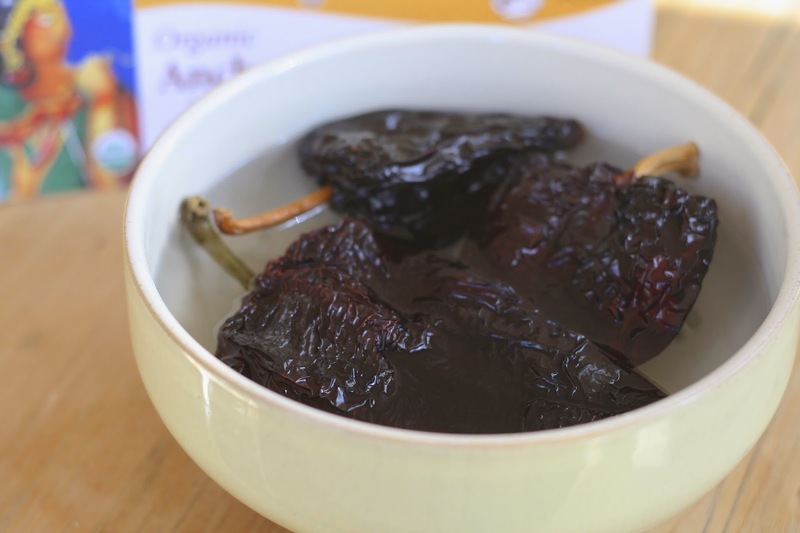 Remove stems and seeds from dried chiles and soak in boiling water for 15-20 minutes. Combine the chiles, garlic, cumin, Mexican oregano, salt, black pepper, honey, and oil into a food processor and puree, adding a little water as needed until a thick sauce forms. Evenly coat the steak or chicken pieces in the sauce and refrigerate in the marinade for at least an hour, or preferably overnight. Pre-heat grill to medium-high. 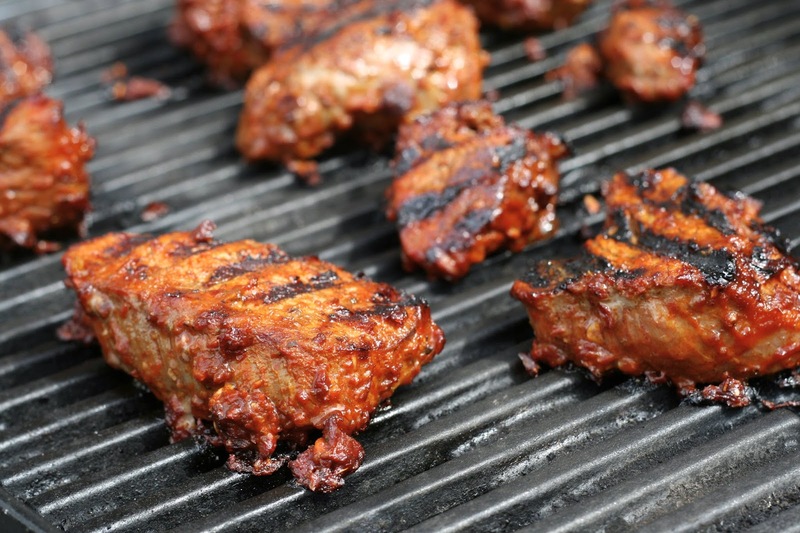 Wipe marinade off steak or chicken and grill until cooked to your liking, flipping once. (Chicken will generally take longer than the steak and should be cooked to 160 degrees). Allow meat to rest a few minutes before cutting into bite-sized pieces. Thoroughly rinse the rice. Then soak the rice for 30 minutes and drain. Squeeze lime and add cilantro and fluff with a fork. Place a large tortilla on a pre-heated cast iron skillet. Top with about a cup of shredded cheese and a second tortilla. Heat on each side a minute or so, just until cheese is melted. 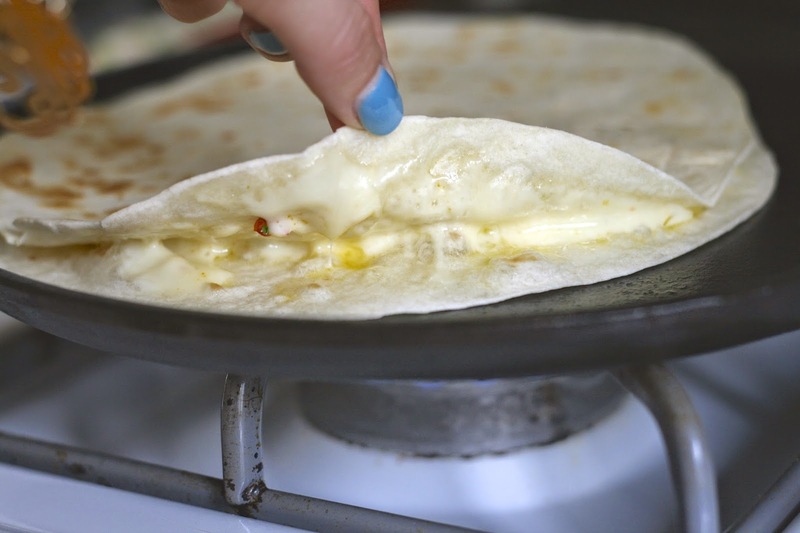 Remove to a plate or cutting board and spoon fillings down the center of quesadilla. 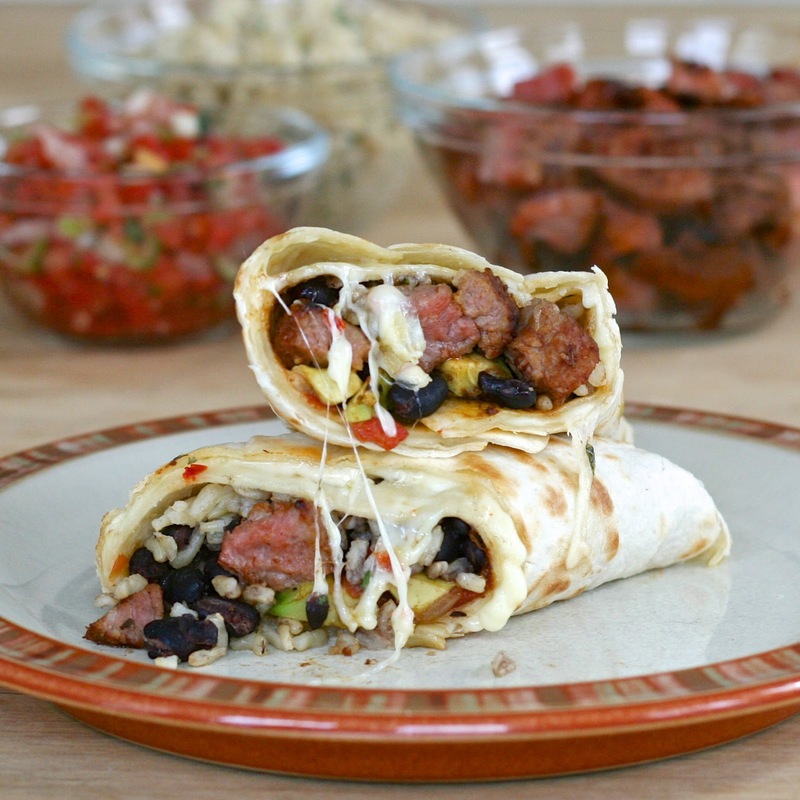 Fold in each side and roll into a burrito. Enjoy! Awesome Jaymee!! Gonna try the rice and quesaritos. Would love to see your take on the sofritas (tofu) from chipotle for us vegetarians. Never knew about the secret menu! These look absolutely divine. Love the coarse sugar on top, such a great touch! I think you meant this comment for the strawberries, but thank you!! This recipe turns me on. Or maybe it's the idea of you making it. Either way, thank you for the awesome ideas.